Recruiting is a funny business. Many prospects prefer to keep things close to the vest and aren’t comfortable with the media circus that their play draws. Others welcome the limelight and use their high-profile statuses to build their brands and tour schools across the country. Trinity Christian, Tex. cornerback Dwight McGlothern definitely falls into the latter category. Most recruits are beginning to narrow their search at this point. But McGlothern appears to be widening his, traveling from coast to coast to explore what nearly every blue-blood program has to offer. The Ducks could be the beneficiaries of McGlothern’s expansiveness. They recently hosted the Texas product, despite not being considered serious contenders by some. The visit may have even turned Oregon into the frontrunner. But with a prospect who seems content on taking his time to smell the roses, it’s hard to tell whether his interest will last. The game of football is constantly evolving. With offenses now placing an emphasis on size and length at receiver, defenses have countered by prioritizing tall, rangy cornerbacks as cornerstones of their secondaries. LSU’s Greedy Williams and Clemson’s Trayvon Mullen are a couple of examples of long boundary defenders who made life miserable for any receiver that was unfortunate enough to cross their paths. McGlothern is built in the same mold. The 6’1.5, 180-lb. corner has the length that defensive coordinators crave, and athleticism to match. 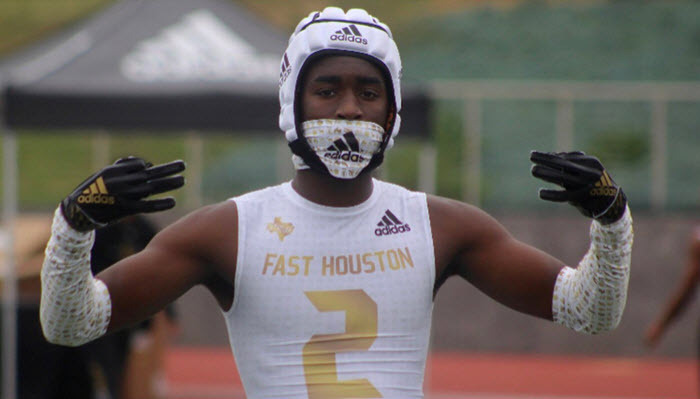 He’s the eighth-best cornerback in the country according to 247Sports’ composite rankings. McGlothern is the total package. Oregon routinely got beaten in jump-ball situations last season against teams like Stanford, and desperately needs height on the perimeter. That’s why McGlothern is so highly coveted by the Ducks — and nearly every other team in the country, for that matter. And though McGlothern is known for talking a big game, he has been working hard to back it up. A member of the 7v7 team “Fast Houston,” he is using the offseason to work on his craft and challenge himself. McGlothern is the total package, a player who is driven to improve himself and who has the confidence to hold his own. It’s pretty amazing that the Ducks’ success at the start of the decade is still being felt years later. 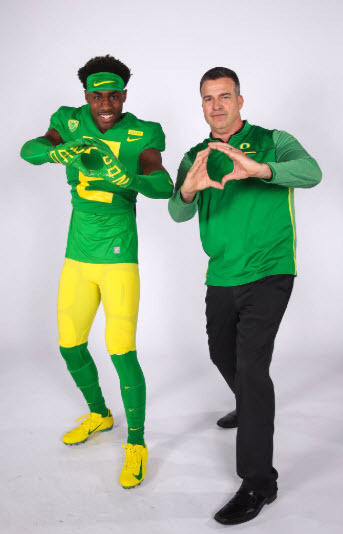 Many recruits from across the country consider an offer from Oregon a dream come true. It has long been the case that getting top prospects to Eugene is a gamechanger. The Ducks’ state-of-the-art facilities and family environment can’t truly be understood until recruits set foot on campus. 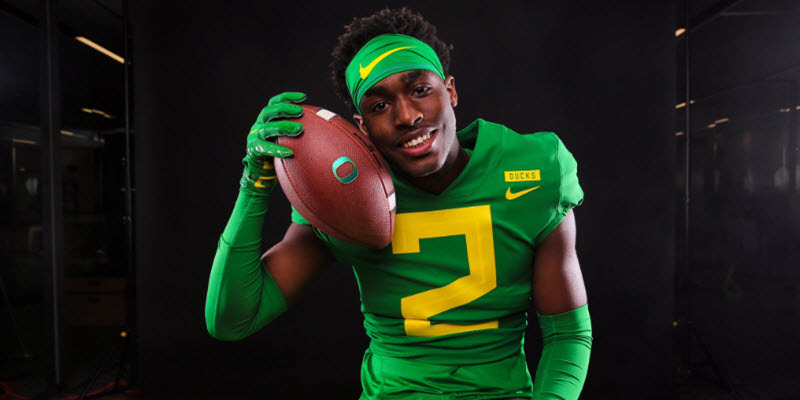 McGlothern’s visit may have been enough to give the Ducks a legitimate shot to get a commitment from him. He has said that distance is not something that will play a big role in his decision, as evidenced by his interest in schools all over the country. That’s a good thing, because plenty of schools much closer to McGlothern than Oregon are also fighting for his services. The fact that he has a history of watching and admiring the Ducks is a notch in their favor. But they have some tough competition to beat out if they hope to land the elite prospect in the end. McGlothern has offers from, and is interested in, a variety of premier programs such as Georgia, Texas A&M, Alabama, LSU, Texas, USC and Ohio State. McGlothern has interest from plenty of top-tier programs. 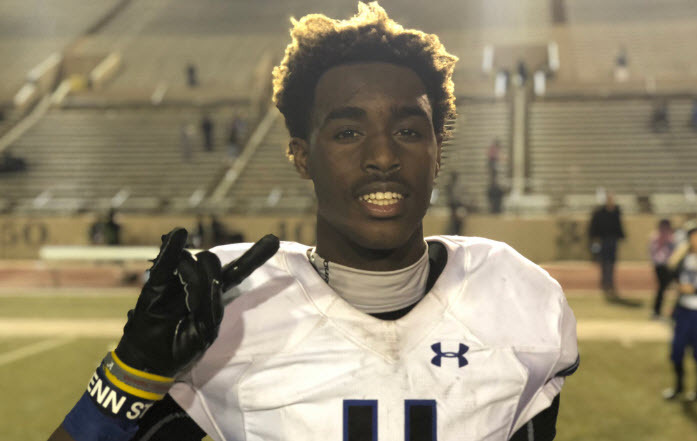 In his interview with SBNation, he named Georgia as a school that he will likely have in his list of finalists, and he also described his significant interest in other programs like Ohio State and LSU. Heck, Nick Saban even made a personal visit to McGlothern back in January. The point is, while the Ducks have a fighting chance, and will likely earn another visit from McGlothern, this is still a 10-team tug of war. Since McGlothern seems to be in no hurry to make a decision, this battle may well come down to the wire. But it’s encouraging that they were able to make such an impression on him during his visit, and put themselves right in the middle of the fight. That’s more than could be said just a few weeks ago. If they can impress him enough the second time around, they might win out in the end. And if this battle continues on into the regular season, beating Auburn on national TV to start the year wouldn’t hurt the Ducks’ chances either.